The PDC Premier League Darts Tournament begins on Thursday the 5th of February and will run for fifteen consecutive weeks until the play-offs between the final four players on the 21st of May. It’s televised live on Sky Sports from 7pm every Thursday, and is currently sponsored by Betway. The top four players in the PDC Order of Merit, along with six wildcard selections, make up the ten-man field for the tournament. Over the first nine weeks of play, the players will face each other once over 12 legs of 501. Once a player reaches seven legs they will have won the match and no further legs will be played. Two points are awarded for a win, and one point apiece will be awarded for matches ending in a six-all draw. After those first nine weeks the two players at the bottom of the league table will be eliminated, and the remaining eight players will play each other once more from weeks 10 to 15. After fifteen weeks of top darts action, the top four in the table will progress to the play-offs on the 21st of May at the O2 in London, where the Premier league winner will be crowned. The tournament has been running since 2005, and Phil Taylor is undoubtedly the most successful player in Premier League history, having won six of the ten titles so far. He took five of the first six tournaments which is testament to ‘The Power’s consistency, but it’s been a little more competitive in recent years with a different winner in each of the last four renewals. Gary Anderson won his first Premier League title in 2011, beating Adrian Lewis in the final; but Taylor retained the title in 2012 for the last of his six wins. In 2013 it was the turn of Michael van Gerwen, who beat Taylor in the final to earn his first Premier League trophy; and last year it was five-time World Darts champion, Raymond van Barneveld who took the title. 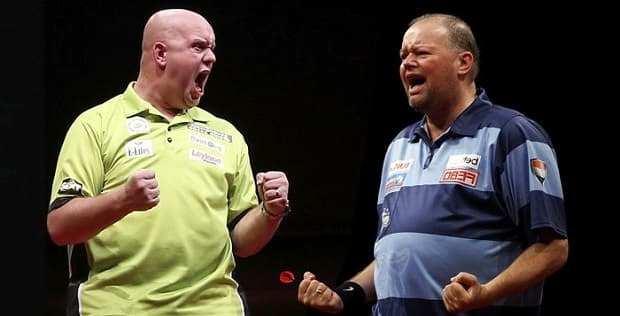 As usual in recent darts tournaments, the betting is headed by van Gerwen and Taylor, and we’re siding with the ‘Mighty Mike’ on this occasion, but at the prices, we’re also recommending an each-way bet on van Barneveld who has shown some very impressive form in recent tournaments and has a decent enough shot at retaining his title. Mighty Mike is an understandable favourite for the Premier League, and he’s done little wrong in the last few months. He romped to the semi-finals of the World Championship, but couldn’t get past Gary Anderson who knocked him out with a scoreline of 6-3. Anderson went on to beat Taylor in the final and was good value for his first World Championship win. van Gerwen hit back though in the subsequent Masters tournament, which he won by beating fellow Dutchman Raymond van Barneveld in the final 11-6. He averaged 112.49 in that final, and is playing some of the best darts of his career. He should make the play-offs over the course of the fifteen weeks, even if he loses a match or two on the way, and it would be a brave man to back against him in the last four. After reaching the final of the World Championship, Taylor had his chances against Anderson but eventually went down 7-6 after the match went to a deciding set. He’s one of the most popular players in the game, and is widely considered to be the best player ever to throw an arrow. 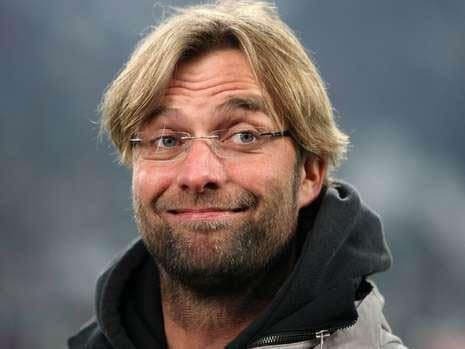 As we’ve mentioned, he’s already won the Premier League six times, and there are very few players who are likely to ever be able to emulate or surpass that achievement. He’s another that can be expected to reach the last four, and certainly can’t be ruled out. Gary Anderson beat the two market leaders, van Gerwen and Taylor, en route to his World Championship title, and having done so, he fully deserved his moment in the spotlight. His total of 64 180’s during the tournament was a World Championship record, and he climbed to his highest ever ranking position of world number three. He was also recently crowned PDC player of the year, Pro Tour player of the year, Fan’s player of the year, and Players player of the year at the annual awards dinner – an impressive haul of accolades for the Scotsman. After such an emotional victory, it would have been difficult for the player to raise his game for the 2015 Masters which followed shortly after, but he performed creditably to reach the semi-final where he was knocked out by van Barneveld. If one player can threaten the dominance of the leading two players at the top of the sport, it’s Anderson, and he will also fancy his chances of adding a second Premier League title to the one he won in 2011. Raymond van Barneveld has been on the darts scene for so many years, and he continues to perform at the highest level. He’s the most successful Dutch player of all time, and one of only three players to win five World Championships (four-time BDO World Champion, and one-time PDC World Champion). He won the Premier League title last year, and has been in very good form over the last few months, working his way to the semi-final of the World Championship where he was knocked out by Phil Taylor. He went one better in the Masters, where he beat Gary Anderson 11-6 in the semi-final, but was beaten in the final by the same scoreline by countryman Michael van Gerwen. He’s a huge price considering he took this title last year, and he has that good recent form behind him. Most bookies are paying 1/3 of the odds for a top two finish, but Betvictor stand out as they offer 1/2 the odds for a top two spot.